AirBridgeCargo Airlines is extending its global network to Vietman with the launch of twice-weekly freighter services from Hanoi, starting on 1 April, 2015. 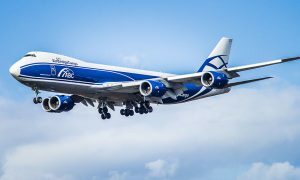 The flights depart Hanoi every Wednesday and Saturday bound for AirBridgeCargo’s hub at Moscow’s Sheremetyevo Airport via Hong Kong. 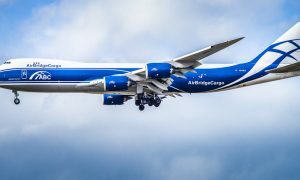 From Moscow, the flight connects to AirBridgeCargo destinations in Europe and the United States. The Asian market has grown into the key market for AirBridgeCargo and this development is continuing in 2015. Since AirBridgeCargo’s first flight from the region in 2004 it has increased its market presence in the area by providing reliable services to meet its customers’ growing needs from major markets such as Hong Kong and China, Japan and Korea. “AirBridgeCargo believes that entering the Vietnamese market comes as a logical next step in developing the strategically important Asian market. For decades the world has witnessed how Asia has transformed into the world’s largest manufacturing power, while it has also become one of the largest global consumer markets. Vietnam’s market development is another bright example of the region’s strength and continued potential and we are excited to start serving our customers there. 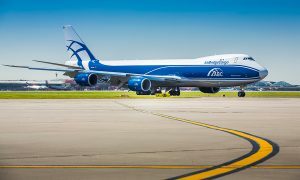 We are confident that the new Hanoi service will complement our existing network and that this will benefit our clients,” said Robert van de Weg, AirBridgeCargo’s Senior Vice President, Sales & Marketing. “Development of point-to-point delivery with our hub model in Moscow will provide our customers with numerous delivery solutions to the major cities in Europe and the United States. Hanoi is our 8th online station in Asia and we aim to become a trustworthy partner that will benefit the Vietnamese airfreight industry for both exports and imports. We believe that opening services from Hanoi will bring us new opportunities and challenges, and our team is ready for them”, added Joanna Li, AirBridgeCargo‘s APAC Vice President.